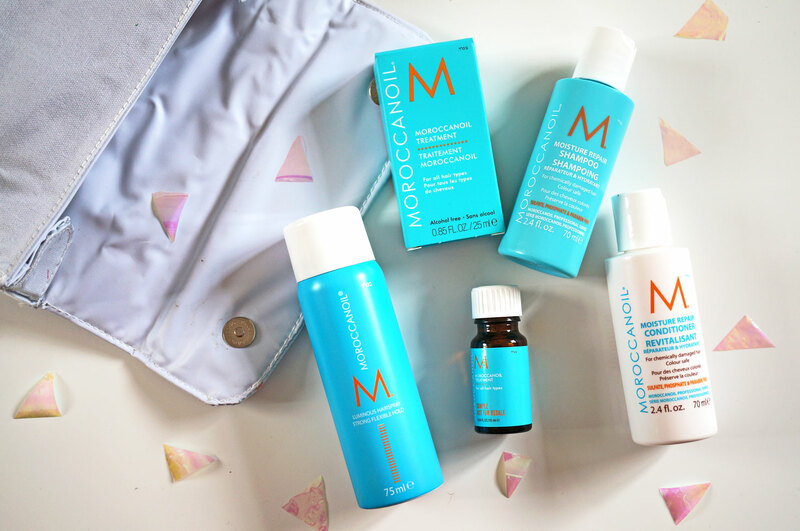 The other day I came home to a fab little travel haircare set from Moroccanoil. I already use the Treatment which is fantastic, so I was really excited to try some of their other products out! In case you haven’t heard of Moroccanoil, they are the originator and leading manufacturer of professional Argan Oil hair products. Moroccanoil’s proprietary Argan oil blend is rich in vitamins and natural elements that fortify the hair, including Vitamin F (Omega 6), Vitamin A to improve elasticity, Vitamin E to protect against free-radicals, and Phenols to shield against environmental stressors. You can find the full range of Morocconoil products available from Lookfantastic.